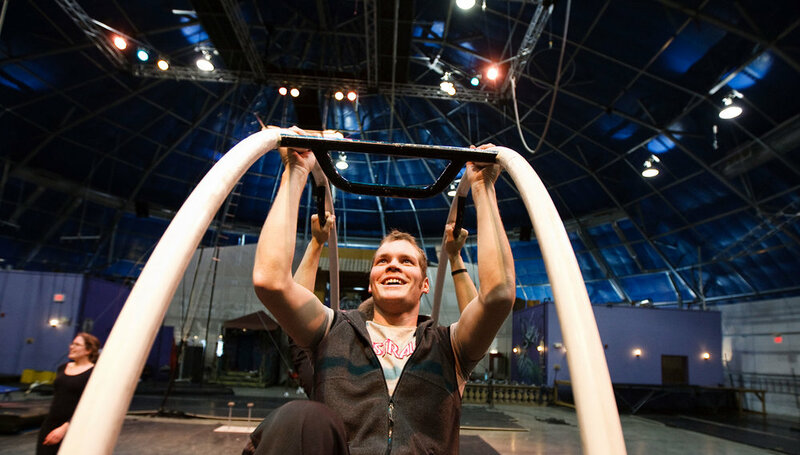 Circus Engineering explores the equations of motion for circus acts, particularly aerial arts. 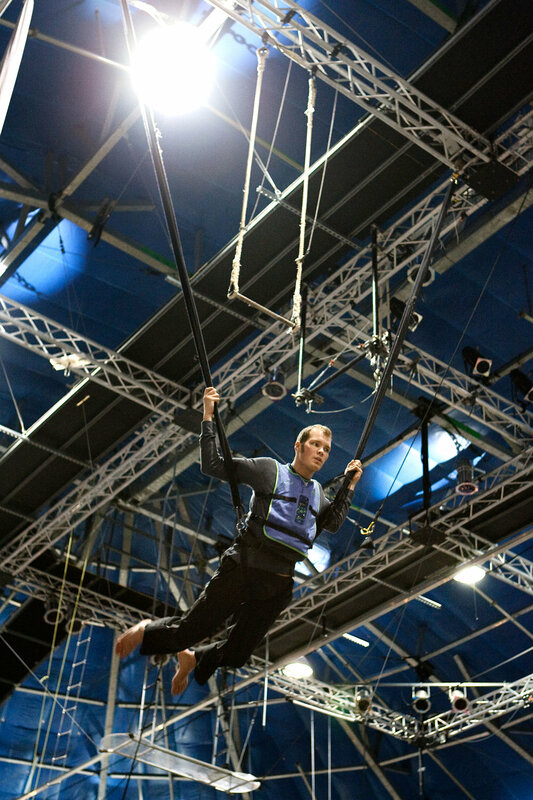 The current focus of our lessons is developing a dynamic model of performers on the flying trapeze. Please see the collection of images below to witness the circus-centric activities encapsulated in Circus Engineering. In this video, Dynamics of the Circus, AnnMarie Thomas works with students in a circus arts setting to engage and understand the science and technology in human movement.